I haven't written a blog in a while. I just wanted to share with you my new addiction with a particular brand of make up. Nyx Cosmetics is a cruelty free company who provides high quality make up for super cheap. As far I know, you can only buy their products online unless you like in the US. Nyxcosmetics.com and Cherryculture.com both sell nyx products, however, their shipping charges are too high for us customers living in Europe. You can also buy their products from ebay sellers. For all those who have never heard about these products just google it or see how many good reviews they get on www.makeupalley.com. The quality of their products is just amazing. I have not tried everything of the brand, obviously. But I have to tell you, their prices are super amazing for the quality of their products. I have researched about the products really well before I purchased anything. Since their products are only accessible online, I strongly suggest everyone would do so. 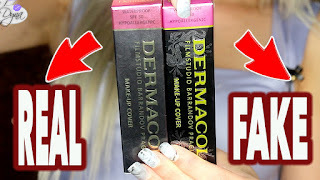 There are plenty of products which can be dupes for higher end make up products and if you're looking for a particular shade of product in a particular brand [like MAC, NARS etc] which you cannot afford, I definitely suggest you research properly maybe nyx has a dupe for that particular shade. FTC Disclaimer: I am in no way affiliated with any company, I bought the products myself, and this is my complete genuine opinion about their products. I love NYX too! We can't get it here in australia, so I buy it online and they are fantastic! I have also done some reviews on there eyeshadows and lipsticks! I am going to buy more soon! Great post! I know aren't the products amazing?? and they're super cheap too. I love their lip products mostly. They're the best I ever tried.